The Sheraton Gran Canaria Salobre Golf Resort is unique 5-star resort where you can enjoy a true and unbeatable holiday experience set in the countryside in the southern of Gran Canaria, beside two 18-hole golf courses and with view to the sea and the mountains of the Island. The hotel has several swimming pools on different levels which seem to float over the landscape, 313 rooms of timeless design with chaise-longues on the balconies, bars and restaurants, of different types offering a varied culinary range, a fitness centre with views of the dunes of Maspalomas and the welcoming Aloe with its spectacular open-air pool where the natural products for treatments, such as the aloe plants grown on the island, guarantee a complete wellness experience. Situated just a few meters from our hotel, the Salobre Golf is one of the newest golf courses in Gran Canaria and counts 36 holes. 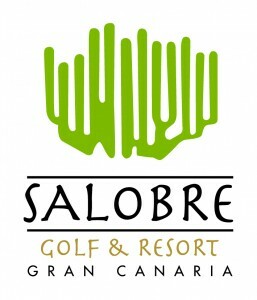 The pro shop is the centralised point of Salobre golf management. Guests can obtain buggies as well as take advantage of the exclusive collection of golf clothes and accessories. The Old Course launched in 1999 and is one of the most traditional and popular golf courses on the Island. This 18 hole par 71 course has been intelligently designed in order to best appreciate the typical terraced valleys of the south of Gran Canaria, offering our visitors magnificent views both over the sea and the mountains. The course has been recognised for hosting important tournaments such as the Spanish PGA in 2006. With its varied and enjoyable coverage, this is a course which should not be missed by golfers at any level. The new course was built in 2008, this par 70, 18 hole course has experienced a tremendous evolution in the past. Salobre North is not comparable with the rest of the courses in the Canary Islands. Its unequaled course has been designed to fit into its volcanic rock surroundings, making it a challenge. Never before has a golf course captured the natural beauty of the south of Gran Canaria like this one, making it an absolute must for every player who loves to play golf at unique locations.